Are you a Rogers Platinum MC user? 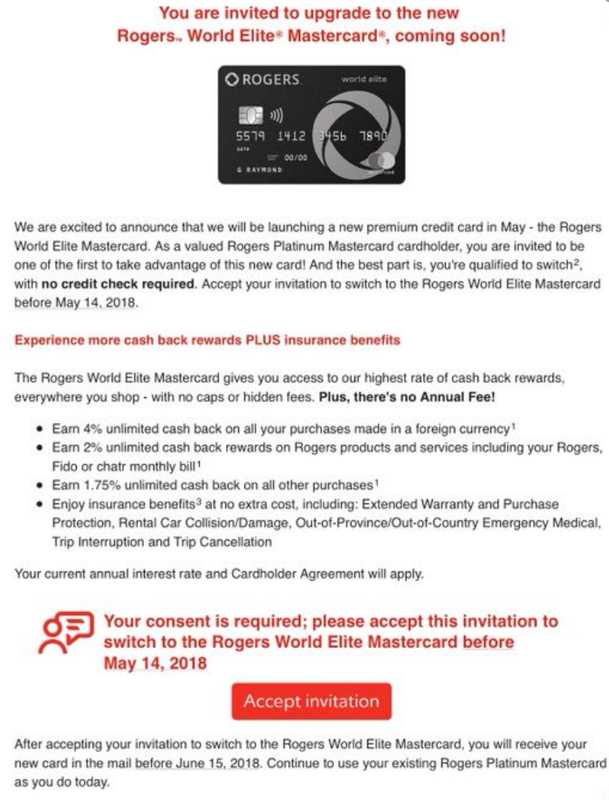 Please check your email to see if you get an invitation from Rogers Bank to upgrade to a new great card: Rogers World Elite Card. All the information are in this picture above. If you accept the invitation before May 14, you will get the new card by Jun 15, 2018. I highly recommend you to accept this offer. BTW, up to now, no reported upgrade offer for Fido MC user. I think Fido MC user can call Rogers Bank and ask for upgrade to this Rogers WEMC.